Ruchetta, 7.5 – Easily the most expensive restaurant I’ve visited and reviewed, Ruchetta is a lovely house in a beautiful street with a menu appealing enough to send any hungry person into raptures. But is it quite worth the money? The $64,000 question (not literally, it’s not that expensive) is answered here. Tampopo, 7.6 – I’d always dismissed Tampopo as another chain on the Oracle Riverside. Why go there, when you can just as easily and cheaply pop to Wagamama instead? It turns out there are a lot of reasons; go here to find out. Tasting House, 6.8 – Is it shop? Is it a bar? Is it a restaurant? No, it’s Tasting House. The review, here, tells you whether it’s more Clark Kent or Man Of Steel. Pappadams, 7.2 – In any other place, Pappadams might be the best Indian restaurant in town. In Reading, despite some lovely food, I think falls just short of that accolade. Read about why here. My Kitchen, 7.5 – The lunch options in Reading seem to get more varied and interesting all the time. I went to My Kitchen to find out if it was a serious challenge to all those places on the legendary Coffee Corner. Sausage rolls, brownies and halloumi ensued: it’s all here. 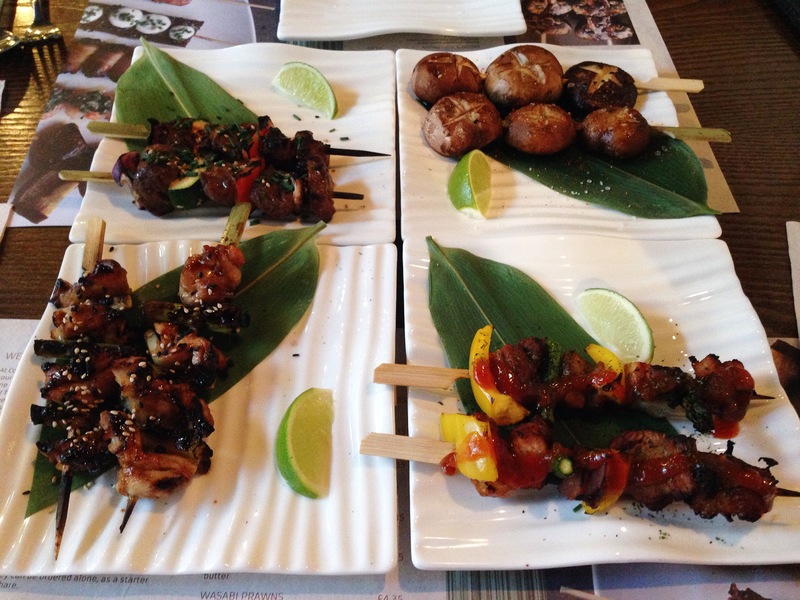 Coconut Bar & Kitchen, 6.8 – One of Reading’s newest kids on the block specialises in yakitori skewers – a proper gap in the market. It’s an attractive room and they’ve obviously put work into the refit, but does the food live up to the venue? Here is what I thought. The Catherine Wheel, 7.2 – In which Edible Reading became Edible Goring, through the magic of train travel. I was tipped off that the Catherine Wheel was a magical find in the country, and as it was less than quarter of an hour from Reading station I felt like I ought to put that to the test. My review – which includes Michael Portillo, Tim Howard, Watership Down and a mattress (sort of) is here. It’s been a funny few months with very little in the way of openings and closings. Sadly, shortly after I reviewed it Cappuccina Café closed its doors for the last time (it’s a nail bar now, apparently next door to another nail bar). The sign outside said “It was genuinely a pleasure”. A real shame, as the time I ate there was also genuinely a pleasure and I know some of you will really miss their bánh mì. I was hoping to confirm a comeback for the Eldon Arms: I’d heard – from the landlord, no less – that they were considering bringing back a restricted menu. Sadly, things have changed since I got that snippet of information – I now understand that the current landlords are leaving the pub and Wadworth has re-advertised it as vacant. Just as I thought I might get to try those burgers (or that delicious pulled pork) again, my hopes have been cruelly dashed. Such a pity, as it was a pub I could imagine spending more time in, good food or no. The first opening that I’ve got wind of (that sounds disgusting, doesn’t it? let’s press on) is “RYND Bar & Kitchen” which is opening on 11 Castle Street, the site that used to be Club Evissa and before that was Dogma. (This “Bar & Kitchen” thing seems to be the new way to describe restaurants, doesn’t it? I can’t wait to book a “seat and cutlery” at one of them some time.) They’ve posted some pictures on their Twitter feed as they complete the fit-out of the interior, and according to their Facebook page they are currently recruiting “amazing, powerful, rhythmic, eccentric people” to join their team – including “Waiting staff who don’t mind getting weird”. Could be interesting: personally, “weird” isn’t high on the list of qualities I look for in waiting staff (and nor’s “rhythmic”, come to think of it), but what do I know? They are looking to open this autumn: their website is here, although there’s nothing to see at this stage. The second one also sounds worth keeping an eye on: Faith Kitchen, down the Oxford Road, which promises authentic African food. It’s not clear from their Facebook page when they plan to open, and their website is under construction, but the success of Tutu’s Ethiopian Kitchen suggests that there’s certainly room for another African restaurant in Reading. I’m looking forward to paying it a visit. There’s more to a town’s food scene than its restaurants and the other main event of the last few months has been a veritable explosion of supper clubs. For years, Reading’s only supper club was the excellent Friday Dinner Secrets, but all that has changed recently. Pop-Up Reading hosted its first night in June and is already building quite a buzz on Twitter, mainly by posting absolutely mouth-watering pictures of food (don’t look at their Twitter feed just before lunch. Or just after a disappointing sandwich. Or when there’s nothing in the fridge). They’ve also got lots of good coverage both in AltReading and Excellent News. More recently, I’ve got reports of a third supper club in Caversham; I don’t know much about it, but Secret Supper Club has recently set up on Twitter, so it will be interesting to see what they do. 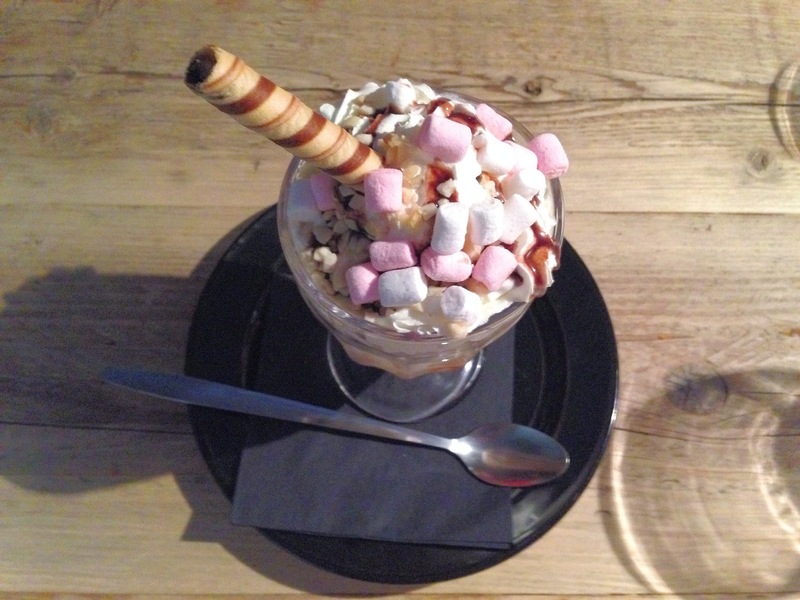 Have you been to any of Reading’s supper clubs? If so, what did you think? This is probably rather a Michael Portillo way to start a restaurant review, but goodness, the train journey from Reading to Goring is rather lovely. From Tilehurst onwards the view gets prettier and prettier, all green fields and lush hills, the Thames on one side and the beauty of Basildon Park on the other. The names on the map have a touch of Watership Down about them: Harley Hill Wood; Harecroft Wood; Shooters Hill. My fellow passengers on the train looked particularly pleased to be commuting home from work, and surrounded by such splendour it was hard to blame them. I was on my way to Goring because I’d had a tip-off: the Catherine Wheel, I was told, was a magical find in the country. Admittedly, the recommendation came from the pub itself but I decided that was no bad thing: if you can’t blow your own trumpet, why expect anybody else to blow it for you? So I got off the train, wandered over the footbridge and walked down Station Road, past house after house which – although physically close enough to touch – would always be a lottery win or an unexpected inheritance away. I like to think I go to enough disappointing pubs these days to know a convincing menu when I see one, and the Catherine Wheel’s looked promising. Less than half a dozen starters, only slightly more mains and a handful of specials. The pub classics (fish and chips, steak, burgers) were all there but also some interesting touches: rabbit loin, crab tart, chimichurri sauce. If anything, I thought the starters were more inventive whereas the mains played it safe but even so, it felt a world away from the standard issue Mitchell & Butler pub menu. First things first, though: a Scotch egg from the bar bites section of the menu. This took a reassuringly long time to arrive (“I’m sorry”, the waitress said, “but they take a while because they’re made fresh” – an apology nobody should ever have to make in a restaurant, if you ask me) and was worth the wait. It was billed as pork and chilli but seemed chilli-free to me: an irrelevant detail because the whole thing was truly magnificent. The pork was soft and herby, the egg spot on, the yolk still soft but not too runny, and the piccalilli simultaneously sweet and sharp. I ate it so enthusiastically that the gentlemen next to us ordered one as well; I don’t think they were disappointed, either. Starters were more of a mixed bag. 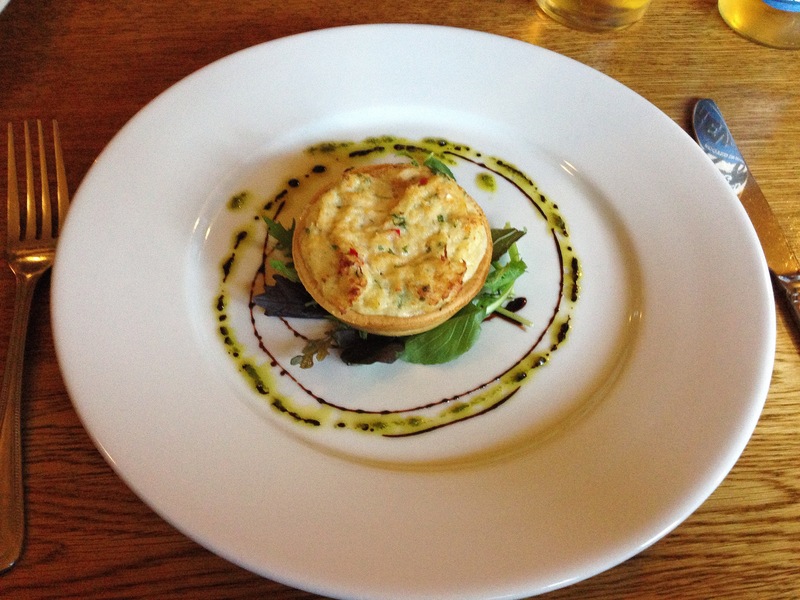 Crab and lime tart with coriander was a dainty thing, delicious if a little delicate (I suppose, in its defence, most things would seem delicate after a Scotch egg but there you go). That said, everything about it was well done – the little disc of pastry was crumbly and buttery and the filling was generous with the crab. I thought it needed more lime and coriander to really make it stand out (crab can be rather a subtle ingredient) but it was still an accomplished, if soft-spoken, dish. 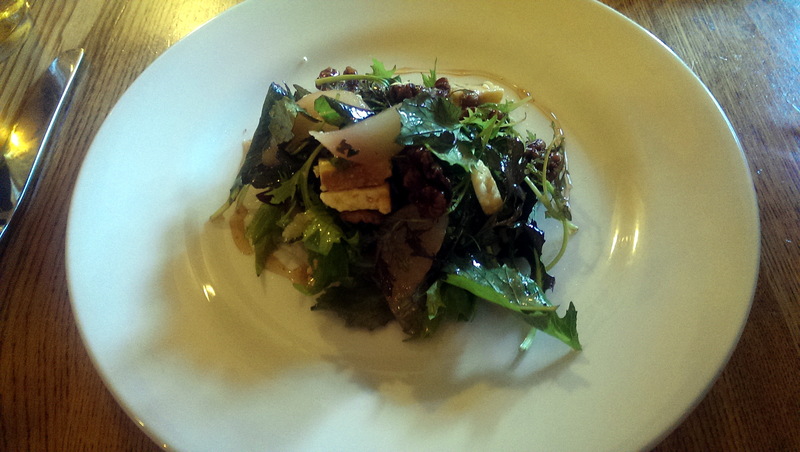 The poached pear, candied walnut and Stilton salad was exactly what it said it would be. The pears were soft enough to yield to the edge of a fork, the walnuts were deliciously sugary sweet and the Stilton was creamy smooth, all on top of a pile of bitter leaves dressed in a sweet (honey?) dressing. I would have liked the Stilton to be more tangy and salty (or just more) to balance out the sweetness in the rest of the salad but provided you could resign yourself to having a very sweet starter this was really tasty and more creative than most restaurants, let alone most pubs. The mains were well paced and came just as I was beginning to hope they’d turn up. 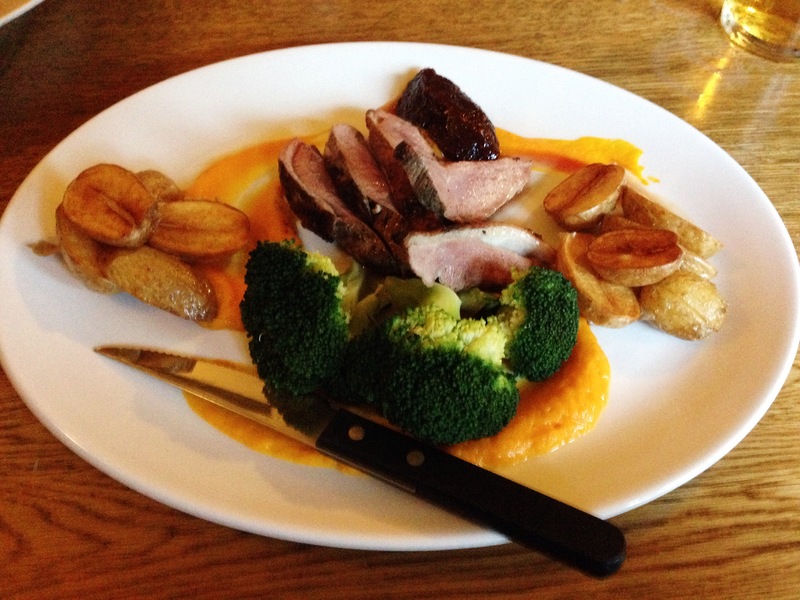 From the specials board, duck breast came pink and carved into thick slices with roasted new potatoes, carrot pureé, broccoli and gooseberry jam. It was a near miss, if a delicious one in places. The duck was well cooked – nicely pink in the middle – but not well seasoned. Similarly the potatoes felt like a carby but slightly flavourless onslaught; a few less, properly seasoned would have been miles better. The carrot puree was tasty but so much of it on the plate came across as a little bit Cow & Gate, and like the duck it went cold very quickly. The star of the show, without a doubt, was the gooseberry jam. I wasn’t expecting it to be red, but it had the tartness of gooseberry and – this was the masterstroke – a nice spike of chilli. It absolutely saved the plate in front of me (it was the Tim Howard of the food world: it could have saved almost anything). I’d probably have eaten it smeared on a mattress, that’s how good it was. The honey and soy marinated salmon was a dish of two halves. 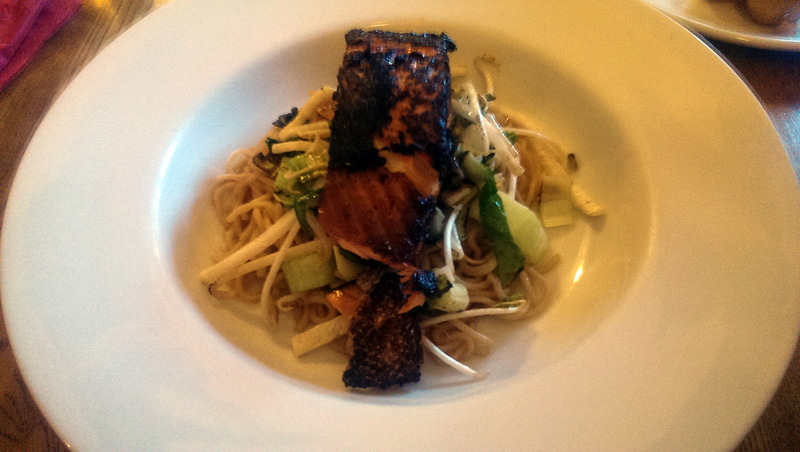 The salmon was cracking – still soft and silky in the middle but crispy, salty and blackened on the outside. When it arrived I thought it was burned, but I soon realised it was very cleverly cooked indeed. The honey was a little lost in the salt but that was no bad thing after the sweetness of the starter. The disappointment was what was underneath it – a bland stir fry of noodles, pak choi, bean sprouts and mooli. There was literally nothing to make that interesting, and any mouthful without a piece of that delicious salmon was a sad mouthful indeed. Such a shame, as it was a dish which could so easily have been improved with some soy, garlic, chilli, ginger or ideally all four. I found myself wondering if the chef had accidentally left something out, but didn’t dare ask. 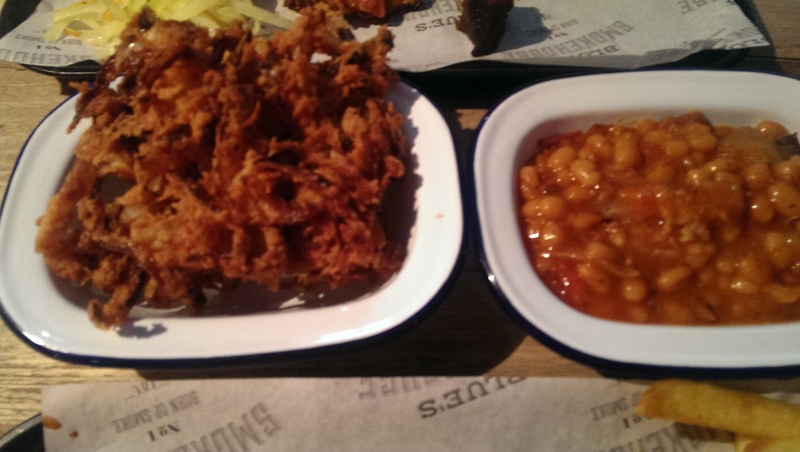 The problem with a fully booked restaurant is that you keep seeing dishes arrive at other tables which aren’t yours. So I can confirm that the pulled pork burger (with crackling, apple sauce and crunchy chips) looked so good that the man at the next table caught me staring at it. The fish and chips, which turned up to the delight of the sixtysomething lady across the way, was a piece of haddock so leviathan that she and her companion both oohed when it was plonked in front of her. I had a distinct whiff of the culinary road not travelled, to the extent that I briefly started to wonder whether I really ought to visit twice before writing a review, before snapping out of it. Service deserves a mention, because the Catherine Wheel didn’t get a thing wrong in this respect. Our waitress was tireless, knowledgeable and enthusiastic and seemed to be working practically the whole pub. Watching her was an object lesson in how to work your socks off and make it look effortless (quite a contrast to the commuters on the train earlier, who I imagine had probably spent the whole day looking flat out busy while doing nothing at all). We were too full for dessert – which is a shame, because I had my eye on the cheeseboard (from the superb Grey’s of Pangbourne, no less). Besides, the train back to Reading might only take fifteen minutes but they start to get less frequent as you get closer to the end of the evening. 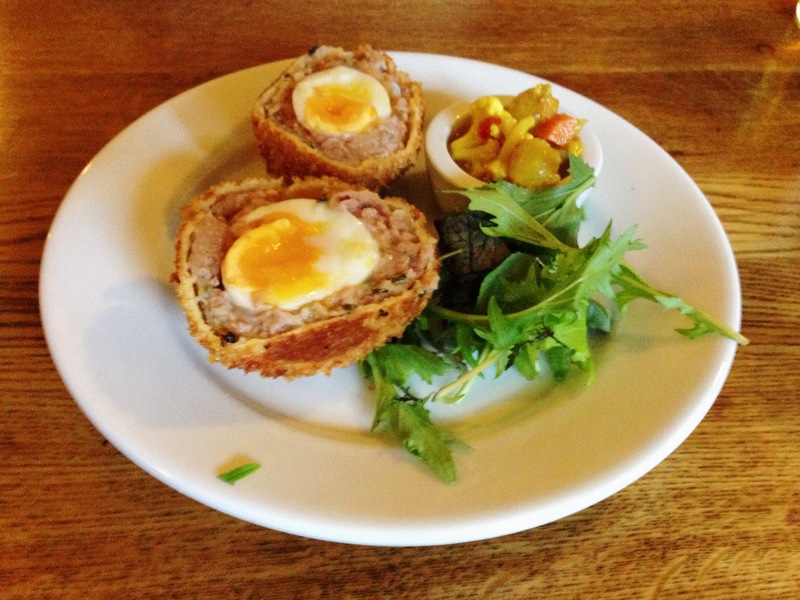 So we settled up: the bill came to just under sixty pounds, not including service, for two starters, two mains, a small glass of perfectly pleasant Rioja and a couple of pints, not forgetting that terrific Scotch egg. So is the Catherine Wheel a magical find in the country? I think so. My food wasn’t perfect but it was definitely interesting, and I saw enough of the dishes arriving at other tables to get an idea that the kitchen had a good balance of pub classics and something slightly more creative for people who wanted to wander a bit further off the beaten track. Looking at their Twitter feed made me want to go back on a sunny Sunday afternoon: jazz, barbecues, pizzas in the garden. It would be easy in a village so pretty to just crank out microwaved staples and make money out of your captive audience: it says a lot that the Catherine Wheel is trying to do more than that while still being a good, traditional pub. If I lived there, I’d feel very lucky to have it as a local. Although to be honest, if I lived there I’d probably feel lucky full stop. On the way back to the station, as we passed the village hall, I heard the sweet strains of an orchestra practising: as if Goring wasn’t idyllic enough already. I’ve been handed a free yakitori voucher as I pass Coconut more times than I’ve been chugged outside Marks and Spencer. In the two months since it opened, Coconut has done a sterling job of making people aware of where it is (on the Butts. Don’t laugh) and what it does (yakitori, apparently) so is this long enough for them to have settled in and found their feet? Of course, there’s only really one way to find out. Inside, past the young man in a pinny handing out those ubiquitous Coconut business cards, the restaurant itself is a long wide room with a bar at the front and smart seating further back. Seating is a mixture of booths, banquettes and high tables all in chocolate and that shade of lime that isn’t too hard on the eyes. I love a booth and on a weekday night it was quiet enough to grab one. At the time I forgot that I’d be taking photos or I would have sat on the other side, against the attractive white brickwork, under the skylight, but you can’t have everything. The placemat menus list a total of fifteen different yakitori, mostly around the £4 mark. It seemed only fair to pick a selection and try them out, after all yakitori is their speciality (even if this was only supposed to be a starter). The best of the bunch was the Kim’s Belly, four cubes of pork belly threaded onto a bamboo skewer then chargrilled just enough to make the meat tender without being chewy. This in itself was good but none too exciting until you add their “special Kimchi sauce”. This didn’t resemble the Korean kimchi pickles that most people would recognise but was more like a chilli sauce with hints of five spice and the slightly sour taste of lime. This lifted the pork enough for me to overlook the thick layer of fat that I had to cut off the meat before I was prepared to eat it (I am not sure my guest was so discerning – each to their own, I suppose). With two skewers on the plate this seemed like a generous portion for the price and was the best of the yakitori we tried. I wasn’t sure what the asparagus and yellow pepper was doing on there with the pork but I ate it all the same. And the rest? The chicken teriyaki was decent enough but looked a lot like something I might have rustled up myself for a summer barbecue – the meat was thigh which had been bundled onto the skewers in varying sizes and looked a little, well, unloved. The spring onion had over-wilted in the heat and so became a bit limp but had just enough flavour to go with the chicken and the teriyaki sauce. Mongolian beef was much the same, with oddly shaped cuts of beef roughly pushed onto the skewers with chunks of red pepper and courgette in between. 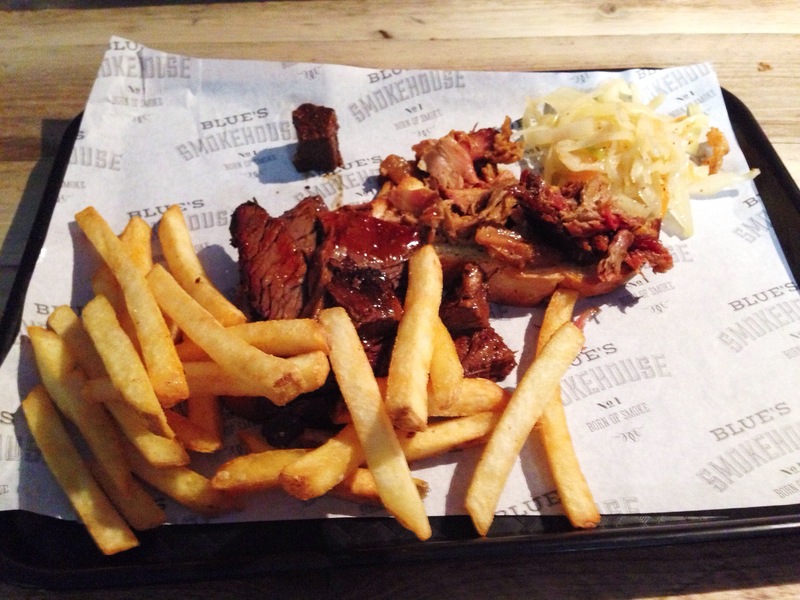 It was strangely inconsistent – most of the meat was beautifully tender and soft but a few bits were distinctly chewy. How two pieces of meat, neighbours on a single skewer, could be so different I have no idea. Overall they were good, but no better than a similar dish at Yo! 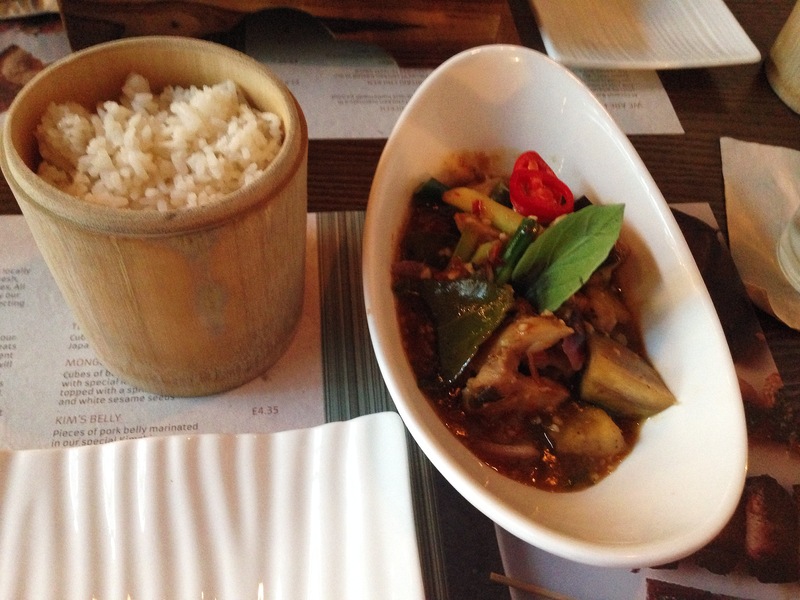 Sushi or Wagamama – I was expecting more smokiness, more char, more complicated flavours. None of this, though, compares to the disappointment of the shiitake mushrooms “flavoured with Japanese shichimi”. The yakitori menu has a picture of some beautiful mushrooms, cut in half, rammed onto a skewer, glistening with sauce and marinade: looking at them made me positively ravenous. These pale specimens were not them. They ranged from raw to flabby and it was hard to taste the seven spices over the coating of oil on the mushrooms – mushrooms which, incidentally, appeared to be bog standard chestnut mushrooms. You’ll be glad to hear that the mains were a step up from the below par yakitori. Thai basil chicken was very pleasant, if the stuff of Thai restaurants across Reading and beyond. None the less, it was done well – a gorgeous rich sauce, nice bits of chicken (discernable chicken, not dubious bouncy chunks), fragrant cubes of aubergine and delicious crunchy asparagus, all served with some unremarkable coconut rice. All this would have been perfect if it hadn’t come on the same ribbed, rippled plates as the yakitori. For the yakitori, it made sense – little trenches for your extra sauce to drain away – but for eating a dish with rice and sauce it was silly, faffy and by the end made me want to hurt myself. 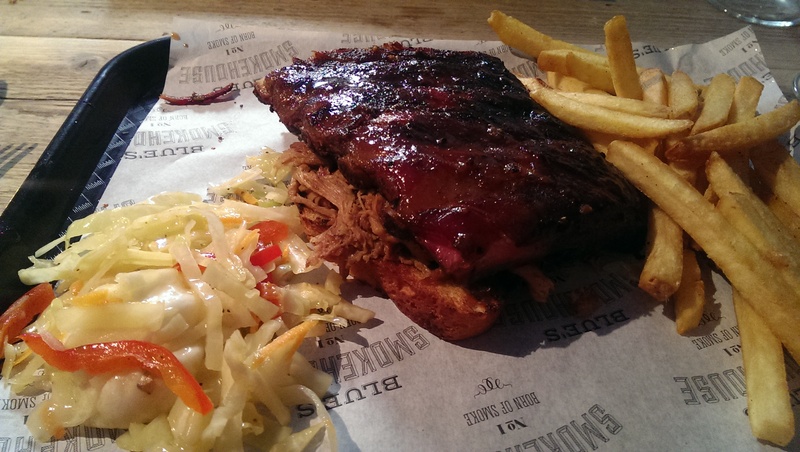 Some people don’t like eating off slate, some people object to the wooden boards that are all the rage at the moment. For me, it’s plates like this: the sound of my fork scraping along the grooves was like nails down a blackboard. Much, much better was the chicken Dolsot Bibimbap (take that, spellchecker!) It was delicious. 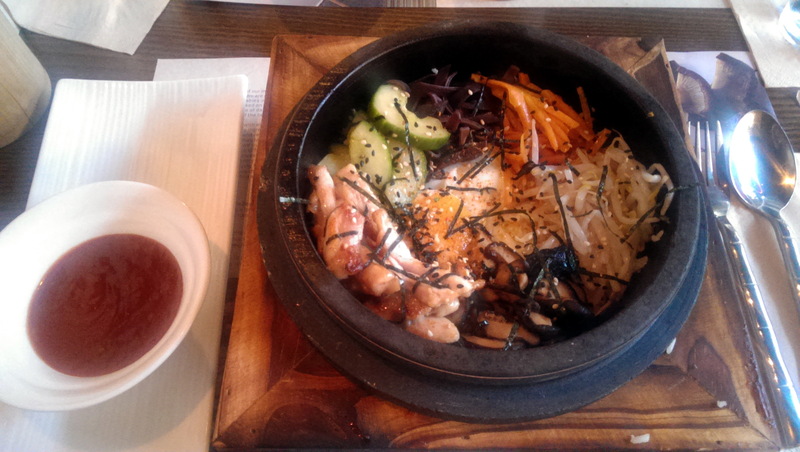 It was a “blistering hot” – the menu’s words, not mine – stone cauldron, sitting in a wooden frame (which makes it rather resemble a potty – sorry, but it does) filled with coconut rice topped with sautéed vegetables, chicken and an egg, sunny side up with a little dish of that kimchi sauce on the side. Random, eh? The waitress suggested that it was best stirred all together so I dutifully did the honours and turned it into what was basically a stir fry. Without the kimchi sauce the whole affair was magnolia fried rice, but the sauce transformed it into a really tasty bowl of goodness full of carrot, cucumber, mushrooms, shredded seaweed, cabbage and bean sprouts. (I think. I can’t remember in all the excitement). The sauce added richness and spice and maybe this makes me sound about five, but it was fun to stir in and mix up. Each forkful was different and towards the end the coconut rice became nuttier and slightly crisp in places as it kept cooking in the dish. I’m not sure I’d describe it as blistering hot, but I certainly wasn’t going to touch it and put that to the test. Service throughout was good, if not notably so. The staff seemed to cover all of the tables so there was no continuity of service but everyone was friendly and happy to explain the idea behind Coconut and the yakitori. Despite that we decided not to go for dessert – partly because we were full but mainly because the dessert menu really didn’t look that interesting (crème brulée, a “trio of chocolate desserts”, ice creams of unspecified origin). Instead we finished up our drinks (a half decent Australian Shiraz and a Kirin Ichiban in a frosted glass, which rather reminded me of being on holiday in Greece) and got the bill. The total for four yakitori, two mains and two drinks was forty-one pounds which struck me as decent value (even if we hadn’t had a yakitori free – most of the mains are around a tenner). I wonder how Coconut will fare. It seems to want to be a cocktail bar, do light bites (I saw a lot of yakitori arriving at other tables and I can see why – the mark-up on them must be very healthy) and be a restaurant all at once. The last restaurant in that spot, Glo, had quite a similar game plan and didn’t make a go of it. It’s also a surprisingly big place – the room goes so far back I half expected to walk all the way and emerge in Narnia – and that’s a lot of covers to fill in what I imagine is an expensive central location. Having eaten here I found myself wishing that Coconut was making more of its mains, because if they’re all as good as the best one I had they could properly compete with Tampopo and Wagamama – well, they could if they weren’t so obsessed with skewers, anyway. Still, I can’t rule out making a return visit and going straight for the bibimbap. Even if I can’t pronounce it.